The epitome of elegance and class, the Banyan Tree brand has captivated millions of travelers at over 40 resorts and hotels, 60 spas, 70 retail galleries and three championship golf courses in 25 countries. For many converts to the Banyan Tree lifestyle, having a permanent holiday home in a Banyan Tree Residence is a life-changing decision. After all, if you have had a taste of the famous Banyan Tree hospitality, who wouldn’t want to enjoy that forever? Banyan Tree Residences are currently found in various scenic locations in Australia, China, Indonesia, Mexico, Thailand and Turkey. One of its newest is the gorgeous Banyan Tree Residences Brisbane, the brand’s first in Australia. Brisbane is no stranger to Singaporeans. For years, we have enjoyed this popular travel and study destination. Its sub-tropical climate bestows 283 sunny days yearly, with temperatures averaging 21 to 29°C in summer while winters are mild and dry between 11 – 21°C. With 2.2 million residents driving a $135 billion economy, Australia’s third largest city and the capital of Queensland is a bustling cosmopolitan city blessed with gorgeous natural beauty. This city which dearly loves the outdoor lifestyle, relaxation and entertainment is also just an hour away from Gold Coast, Australia’s premier tourism destination. But you don’t even have to look that ‘far’, as Brisbane has a packed cultural calendar of events that includes the Brisbane Fair and River Fire. It is against this exciting backdrop that Banyan Tree Residences Brisbane sank its roots. 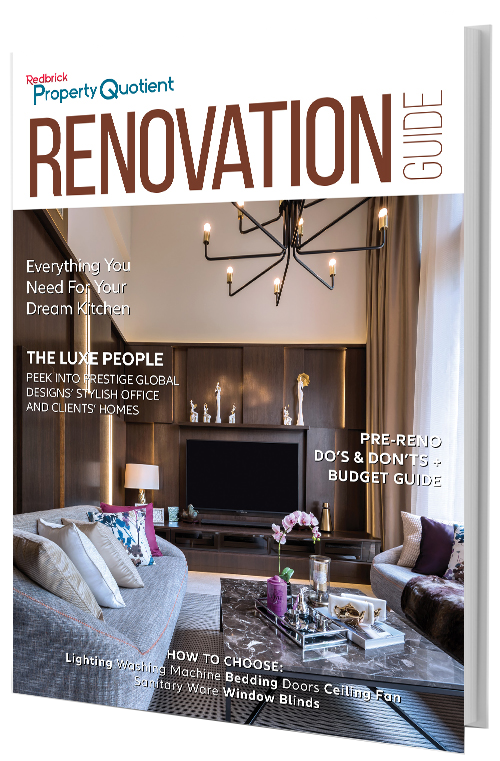 Discerning owners will enjoy a contemporary urban lifestyle in an out-of-this-world, no-way-you-can-replicate-this location. Set atop the iconic Kangaroo Point cliffs with stunning panoramic views are 100 luxury apartments. Imagine waking up to views of the river overlooking the Botanic Gardens, and watching yachts bobbing by! You will be at the heart of everything Brisbane has to offer. Enjoy close proximity to Kangaroo Point Cliffs Park, riverfront walks and surrounding parklands. The Residence is also adjacent to Southbank, Brisbane’s cultural epicenter with the Queensland Art Gallery, Gallery of Modern Art, QUT Conservatorium and Convention & Exhibition Centre. There is never a lack of things to do just minutes away from home! Add to that easy access to some of Australia’s top tertiary educational institutions such as Queensland University, Queensland University of Technology and Griffith University, as well as good schools like Brisbane Grammar, Brisbane State High, Anglican Church Grammar School and more. Brisbane’s infrastructure is well established with major transport and road networks. 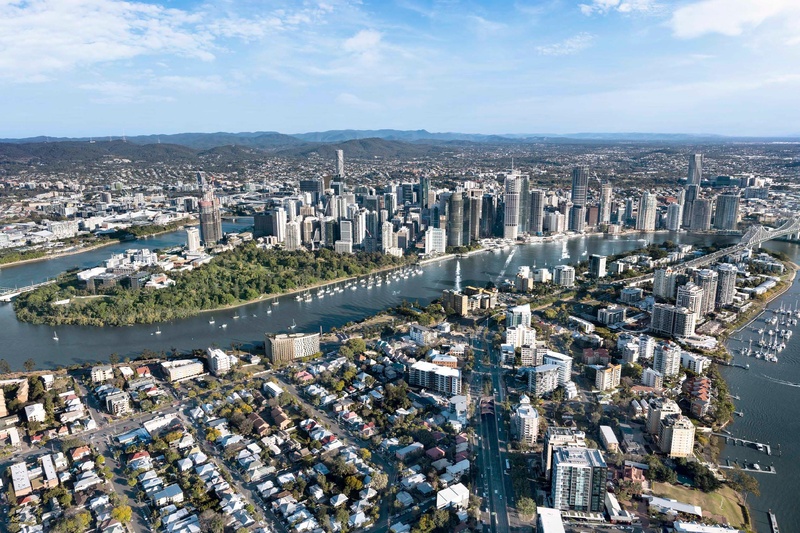 Though the Central Business District (CBD) is only a short drive away, an upcoming pedestrian bridge linking Kangaroo Point to the CBD will offer even greater convenience. 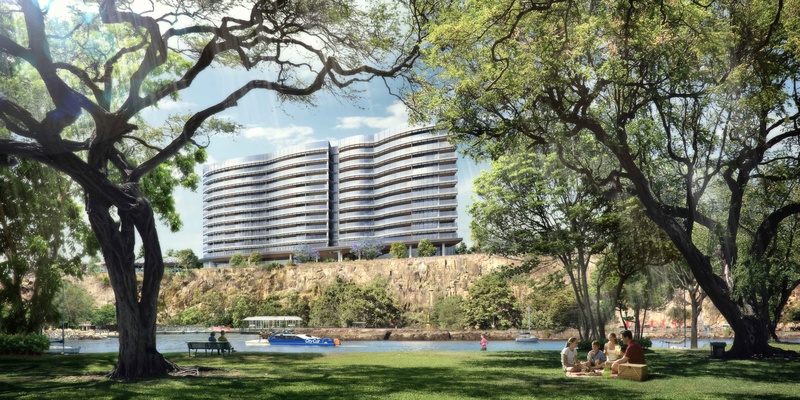 Residents will also enjoy public transport links on their doorstep, including the River Cat ferry terminal at Kangaroo Point Cliffs. And for all your family’s medical needs, there is quick access to private and public healthcare facilities including St Vincent’s Private Hospital, Mater Children’s Hospital and leading specialist practitioners. Built on a 2,200 sqm corner site is a landmark building, which picked up two Asia Pacific Property Awards for the Best Apartment for Australia (2017-2018) and Best Residential High-Rise Development for Australia (2018-2019). 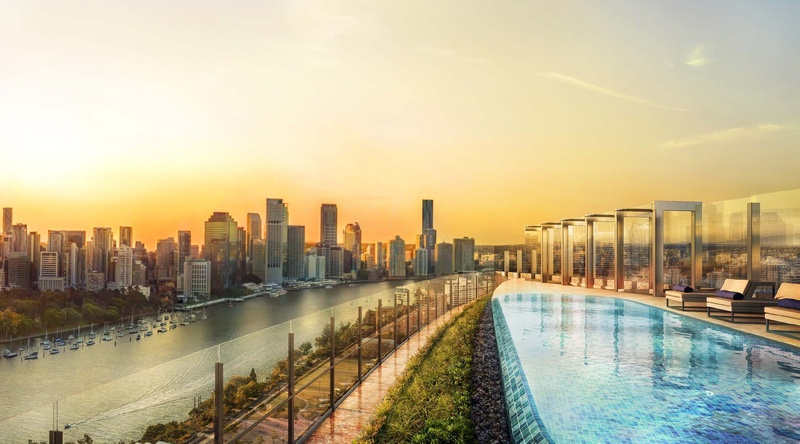 Adding a special touch to Brisbane’s skyline, its elliptical architectural flow of three undulating waves comprises 10 residential levels, a prestigious residents lobby, the world-renowned Banyan Tree Spa, and a private rooftop sanctuary. A secured residents’ lobby with 24-hour concierge ensures that top-notch personalised Banyan Tree service. In addition, residents can look forward to facilities such as a gym, function room, secure underground carpark (167 lots) for residents and visitors, and even come home to a relaxing massage at their very own spa. A restaurant is even in the plans! On its rooftop garden, residents can book a function pavilion, enjoy barbecue facilities, watch the sunset on the daybeds, and dip into the infinity pool to make their daily laps that much more scenic. Australia has long been a favourite destination for savvy international property punters. Its property market remains strong, with a high rate of both home ownership and investment. Brisbane prices are considerably more reasonable compared to Sydney and Melbourne; Sydney, for example, has seen soaring price growth in recent years. Thus, Brisbane makes a much more affordable option for those looking for more upside potential. The low interest rate, weaker Australian dollar and positive forecast for Brisbane’s strong population growth over the coming years all point to the city attracting more investment, driving up demand for Brisbane property. The Banyan Tree Residences offers discerning investors the perfect opportunity to not just own a beautiful new home, but also be part of an exclusive club. To find out more, simply click on the button below.